Taylor Robert increased his win streak to five in the Rocky Mountain ATV MC WORCS Series, Presented by Polaris RZR and Dirt Bike. His latest victory came at The Orleans Arena in Las Vegas, April 14, where beat out Zach Bell and Dante Oliveira for the win. Robert took a slow and consistent approach on his FMF/KTM for the first few laps before catching leader Dante Oliveira. With Oliveira riding another excellent race on his KTM, Robert finally made a move a stick and took the lead for good. The victory puts him 23 points ahead of Oliveira in the championship tally. Bell (Precision Concepts/Kawasaki Team Green) rebounded from a mechanical issue at the last race to finish second. After taking the lead at the start, he lost positions to both Oliveira and Robert on the first lap. He passed Oliveira back late in the race and then set out to try to catch Robert before finishing second. Cooper Abbott (120) took the Pro 2-class win. Tallon LaFountaine (259) was second and Austin Serpa (572) was third. In Pro 2, Cooper Abbott (KTM) took his first win of the season. 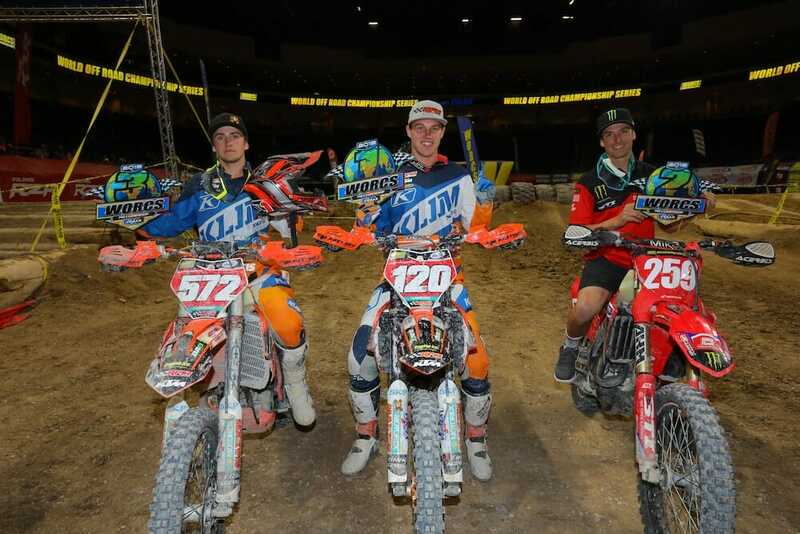 Tallon LaFountaine (Honda) was second ahead of Austin Serpa (KTM). 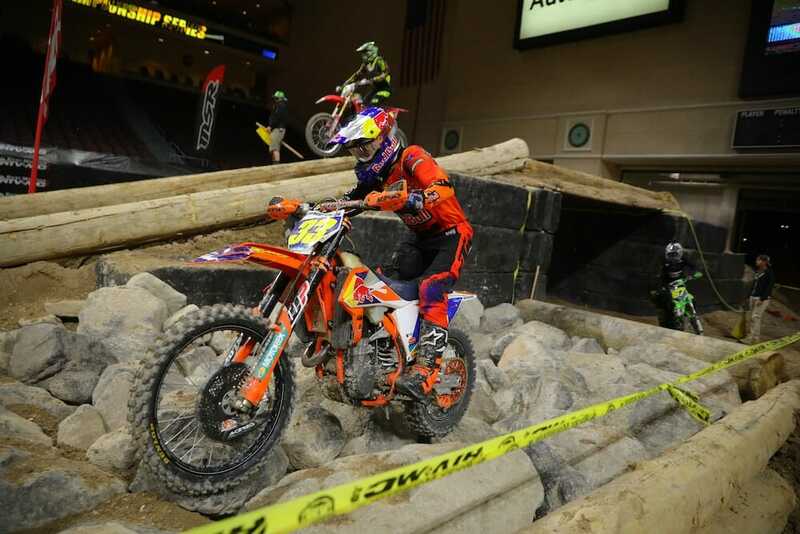 Abbott, an endurocross veteran, took the lead in the tricky Pro rock section and then just held off a charging LaFountaine for the win. While Abbott excelled in the rocks, LaFountaine had issues. After taking second off the start, LaFountaine dropped back to nearly 45 seconds before rebounding late in the race to nearly catch Abbott at the end. Serpa crashed going into the first corner. Once upright he threw caution to the wind and he rode an excellent race to finish third. Serpa now leads the Pro 2 Championship by five points ahead of Clayton Hengeveld (Kawasaki), who finished sixth. In Pro 2 Lights, Cody Miller (Husqvarna) took the win ahead of Mateo Oliveira (GasGas) and Tyler Nicholson (KTM). Click here for all the latest WORCS racing news.